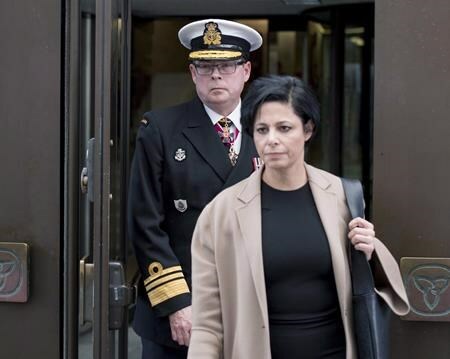 OTTAWA — Vice-Admiral Mark Norman’s lawyer is threatening to call Gerald Butts and Privy Council clerk Michael Wernick to testify in open court if they don’t produce a series of documents that she says are essential to defend her client. 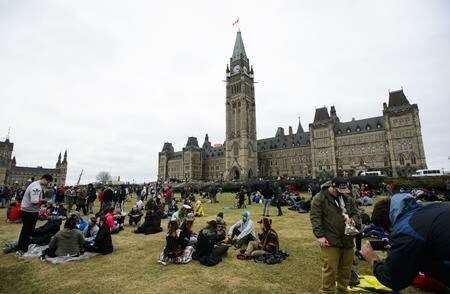 Lawyer Marie Henein issued the ultimatum during a brief pre-trial hearing on Wednesday even as Butts, who recently resigned as Prime Minister Justin Trudeau’s top aide, was testifying before a House of Commons committee on the SNC-Lavalin affair. Henein noted that she has been fighting since October for records from the Prime Minister’s Office and the Privy Council Office, including with subpoenas last month for Trudeau’s, Butts’s and Wernick’s emails, BlackBerry messages and other communications. Those records were expected to form part of Henein’s argument later this month, during what’s called an abuse-of-process hearing, that there was no legitimate reason for Norman to be charged in the first place. But Henein — who has previously accused the Trudeau government of trying to delay Norman’s politically charged trial, which is scheduled to begin in August and run through the fall election — said the timeline for the abuse-of-process hearing is now in jeopardy. 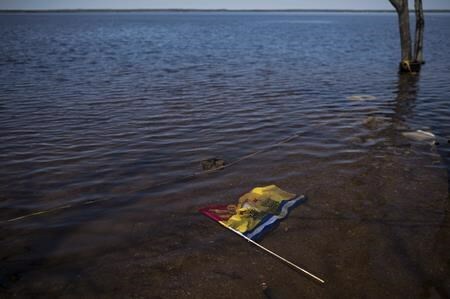 It was at that point that Henein suggested pausing the case until March 18. If the records aren’t ready then, she said, she would ask that Butts, Wernick and senior government officials be called to court. Government lawyer Derek Rasmussen responded by saying the requested documents are ready for Perkins-McVey, who will review the material before deciding whether they should be released to Norman’s legal team. The judge nevertheless agreed to return the case to the court on March 18. Norman, who previously served as the military’s second-in-command, was charged last year with breach of trust for allegedly leaking government secrets to help a Quebec shipyard with the $700-million naval contract. A second public official charged in connection with the alleged leak of government secrets, federal procurement official Matthew Matchett, indicated through his lawyer on Tuesday that he planned to plead not guilty.